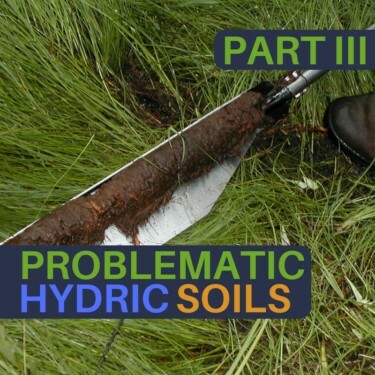 Learn the underlying soil theory built into the language of the Hydric Soil Indicators so you can use them with confidence in all field situations. 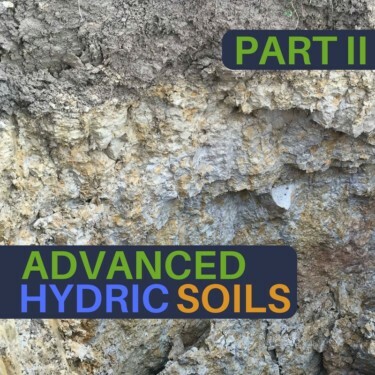 Our four-part Hydric Soil Training Series is designed to lay a firm foundation, layer knowledge on top, and provide you with the skills and tools to excel in your profession. 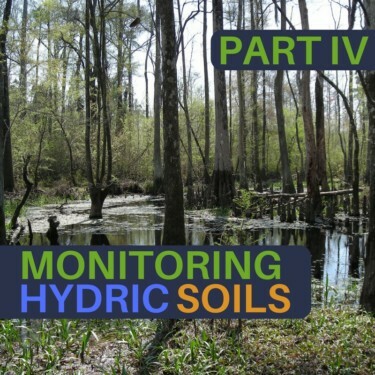 Our Hydric Soil Training Series is designed to be taken step-by-step or as standalone training. You decide which components are right for you. Can’t join us in the field? You can elect to only take the online learning modules. The advent of the Hydric Soil Indicators into three-parameter wetland delineations has raised the bar on understanding the role of soils in wetland determinations. However, like any advance in scientific application, the divide between intent and application can be wide as field practitioners struggle to comprehend the intention of the many-nuanced and often-updated hydric soil indicator definitions. In this training series, students will learn advanced soil science concepts from professional soil scientists to bridge the knowledge gap between reading what an indicator says and applying it in the field. Students will complete online classroom study through our Soil Hub learning modules. These modules can be completed all at once or the student can stop and start at their own pace with the option to save their progress and return later to complete each lesson. 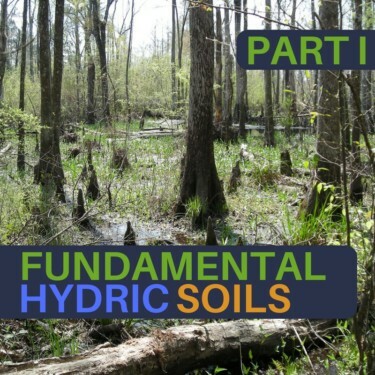 During the online classroom portion of the course, students will advance their technical foundation with in-depth study on the science behind hydric soils and the hydric soil indicators. Finally, students will get practical in-field training in hydric soil description and interpretation techniques by spending valuable field time with our soil science instructors at various locations across the region. Credits: Approved for 0.8 Certification Renewal Points through the Society of Wetland Scientists. This Course has been pre-approved by the Society of Wetland Scientists Professional Certification Program (SWSPCP) as meeting standards for content and instruction to receive credits and/or points toward SWSPCP Professional Certification or SWSPCP Professional Certification Renewal. Credits: Approved for 0.4 Certification Renewal Points through the Society of Wetland Scientists. This Course has been pre-approved by the Society of Wetland Scientists Professional Certification Program (SWSPCP) as meeting standards for content and instruction to receive credits and/or points toward SWSPCP Professional Certification or SWSPCP Professional Certification Renewal.